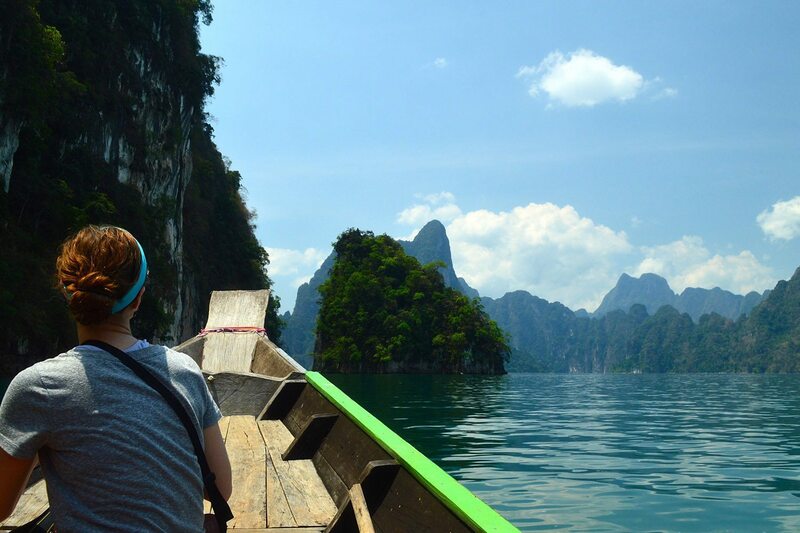 Khao Sok Lake is the highlight of Khao Sok National Park and one of the most scenic places to visit in all of Thailand. Coco Hostel arranges a day trip with a visit to a cave, some trekking, time for a swim and lunch at a raft house. You can also opt for an overnight Cheow Lan lake tour on which you will sleep in a floating bungalow. 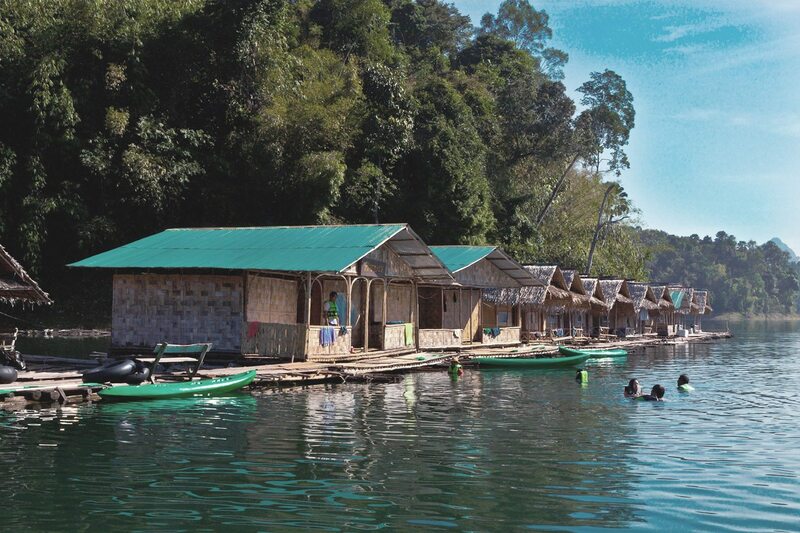 Khao Sok Riverside Cottages has selected the best accommodation on Cheow Lan Lake for you. Here you will have a better chance of spotting wildlife in the early morning and late afternoon. Lake Cheow Lan is also referred to as Rajaprabha Dam, and sometimes spelled Chiew Larn. To visit this amazing place, book a room or a tour package. With fairy-tale scenery of towering limestone cliffs and over 100 islands jutting skyward, Khao Sok Lake Cheow Lan is one of the most striking places on earth. Start the day with a drive from Khao Sok to a colorful local market. Then cruise the lake in a traditional longtail boat. Swim in emerald green water. Choose between kayaking, hiking with a guide, or hanging at the raft houses to relax and swim. For those looking for unique animal watching opportunities, you can see gibbons and hornbills with greater ease than anywhere else in Thailand. Duration: 8:30am to about 6:00pm, with lunch and optional 2 hour trek. Tip: You’ll want your camera to record the scenery, along with money for entrance to the National Park. The best way to really appreciate the Khao Sok lake is on the overnight tour. You will have plenty of time to take in the beauty and tranquility. Your first day will include everything in the 1-day trip. This will be followed by an evening safari by boat to spot wildlife such as giant hornbills, the Red Bull (wild ox), and Sambar deer. Enjoy a fresh dinner including fish from the lake and other Thai dishes. Spend the night under the stars in your own private floating bungalow. The next day, go for an early morning safari followed by breakfast at the raft house and time for relaxing, swimming, or kayaking. After a delicious lunch, your journey back to Khao Sok by boat and car will be filled with stunning views of towering limestone cliffs. Duration: The trip starts at 9:00am on Day 1, and ends at 3:00pm on Day 2 at the hostel. Tip: Wake up early to watch sunrise over the mist, and don’t forget money for National Park entrance.